During the last week in March, drum beats rocked through the Rindge Memorial School hallways and gymnasium. 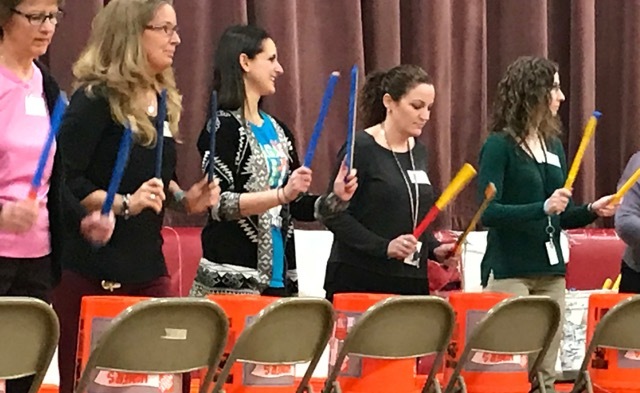 Youth Beatz, an artist in residence program, brought the joy of drumming to RMS students. Rich Regione (Mr. Rich), founder of Youth Beatz, discovered his passion for drumming as a child. This passion became his personal mission to bring unity, kindness, and respect to young people. Rich discusses how drumming, “saved his life twice.” Rich's mother introduced drumming to him between the ages of 9 and 10. Drumming allowed him to overcome learning and social difficulties. It gave him the focus, confidence, and opportunities to connect with peers. Rich became a drummer in several nation-wide touring bands and served in the military. In 2015, he was in a life-changing motor-cross accident. After months of rehabilitation, Rich was unable to use one of his arms. Determined to drum again, he taped a drumstick to his hand. Following months of perseverance, he regained the mobility in both arms. I feel so lucky to have had Mr. Rich come to our school to share his Youth Beatz program with all of us. 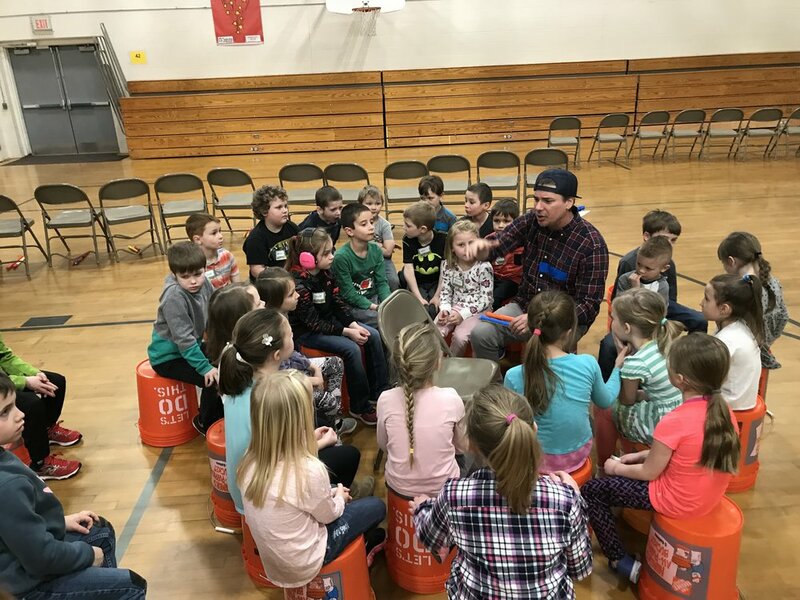 Not only did he bring energy and excitement to the kids, but the teachers learned a lot from him as well. Mr. Rich brought a unique perspective to drumming and learning that many of us have not thought of before. After watching my class practice with him for the first time, I noticed that one of my students would really benefit by some one on one time with him. [...] Not only did they work on drumming, relieving anxiety, and hand-eye coordination, he also worked with him on counting! Counting is something that this student struggles with constantly. [...] Mr. Rich also taught me how to help my student practice counting while he drums. Now we have a drum set for my friend in a quiet corner of my classroom. When he is feeling overwhelmed, he can drum out "a beat of 12" and come back. The final evening of the Youth Beatz Artist in Residence program included a community performance. A packed crowd gathered in the RMS gymnasium to experience the drumming performance. Rich said RMS students were, “super creative” and the energy of the performance was awesome. Rich extends his thanks to Principal Kelly Marcotte and the entire staff for inviting him as an Artist in Residence. He also thanks Cheryl Areias for her professionalism and welcome. “My hats off to Cheryl.” Thank you Grappone Automotive Group for enabling the Youth Beatz tour to visit Rindge.